Large Anthurium plant in Euro willow basket. 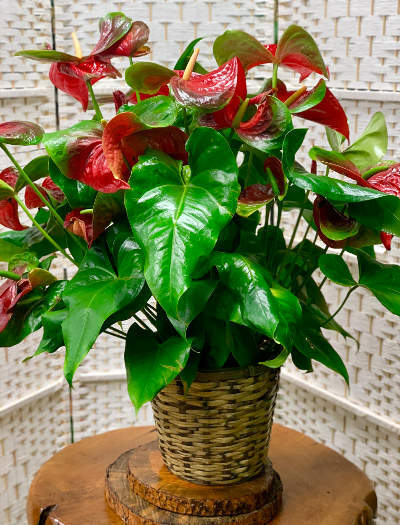 This large Anthurium floor plant will make it seem like a tropical setting in your home or office! Robust red anthurium plant with shiny green leaves. Comes in a Euro willow basket and it is easy care and continues to bloom.